A Man Called Donato……… A Silverback Gorilla………………And The Walthamstow High Street Karaoke! | Education and Early Intervention Service – The Blog! As I didn’t get a blog post out for the start of last week to look ahead I thought I’d at least update you with a look back at the week just gone as well as a look ahead to the one to come! So if you feel the need to read this all the way to the end of this blog post maybe do it in instalments! Most mornings when I come through Victoria I meet Donato who sells The Big Issue from his pitch by WH Smith in the station. 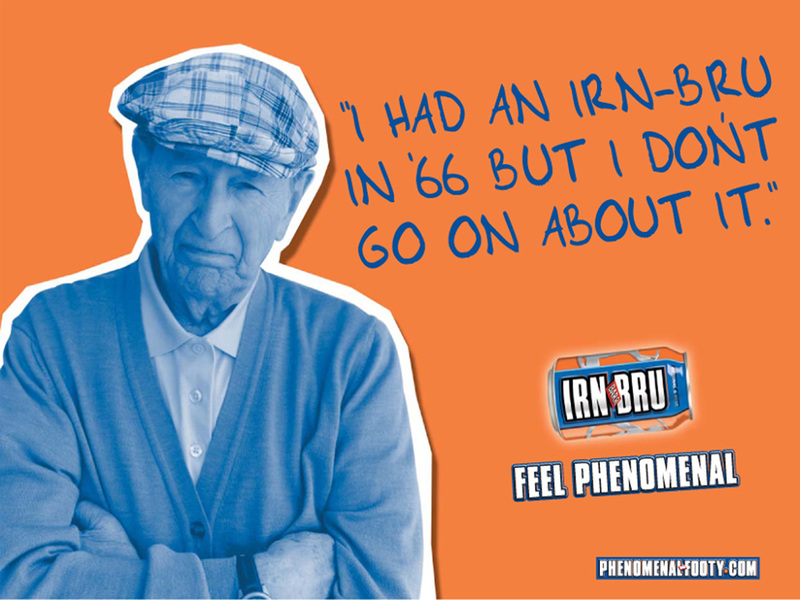 He’s now 70 years old, originally from Turin and a friendly, polite, lovely guy. I try and stop for him two or three times a week. This morning he proudly thrust the magazine into my hand because he’s featured in it. And he was doubly proud because it’s the 25th anniversary edition of the magazine. 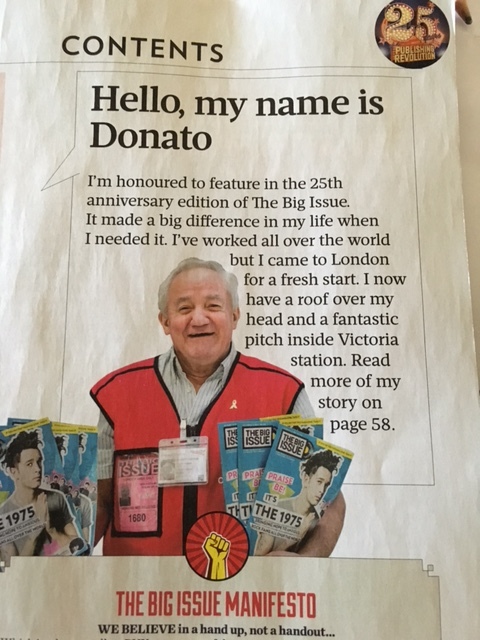 So if you can, both this week and in the weeks to follow, please spare a few quid for Donato and anybody else selling the Big Issue. Because as you can read for yourself if you buy this weeks edition, it really can make a difference to people who just need a bit of help. Apart from being the lyric to one of David Bowie’s best tracks IMHO, it’s also rather appropriate as there’s a lot of these around at the moment! So I thought I’d just summarise what’s happening as best I can. I’ve advised education staff at briefings that I hope to recruit three Headteachers, working together for 2.5 days a week each, to provide line management support between my departure and the new Managing Director joining the spin out company. I expect this MD appointment in January and I hope to confirm on the Headteacher support arrangements later this week. We have long listed the 10 applicants for the Ops Director role in the spin out down to a shortlist of 5. We will be reviewing those further before interviews in the first week of November. Our plan is that William will continue until he is able to do a handover to the new OD. Outside of the education services, Jackie will be moving to replace Jean Kelly one of Richards’ Heads of Service. Jackie will then run FSCP and the services Jackie currently leads ( Early Help, Children’s Centres, Families Matter and Family Support) will also move to report in to Richard. Tolis is currently considering options for the senior education role within the LA and I will let you know what those arrangements are as soon as possible. The Council has agreed to my request to leave as soon as is practical and so my last day with Sutton will be Friday November 11th – so only a few more of these blogs/War and Peace missives to endure!!!!! The DfE released revised statutory guidance on this over the summer. It lands at a time when we have made changes to the way in which we will manage the support and oversight for Children Missing Education from here on, following staff changes last academic year. The provision to CME will now be managed through our school attendance service and so Gill Harp is working along with Peter Gasparelli from Admissions on revising the guidance for schools, briefing heads and teachers, putting interim data collection arrangements in place and working out the resource needs for meeting the revised LA duty on CME in the future. LAST WEEK WAS INTERNATIONAL LITERARY CRITICISM WEEK…….. APPARENTLY! As I mentioned in the last blog I went off to the Cheltenham Literature Festival the weekend before last with my beloved! And as I also mentioned, my suspicions about the extent to which I was really being ‘accompanied’ to see Ian McEwan, Sebastian Faulks, Mary Beard etc were somewhat confirmed when the journey to Cheltenham was peppered with references to ‘having heard what a great city it was’ and ‘what a great shopping area it has’!!!! However, very unexpectedly I was actually ‘accompanied’ to Mary Beard’s talk about the Ancient Romans in the early part of Saturday evening. At least I was ‘accompanied’ if you define that as simply the ‘physical presence’! However if you nuance your definition of ‘accompanied’ to ‘physical presence AND awake'(!!! ), then I was most definitely unaccompanied!!!! Although afterwards I was treated to a literary critique of Mary Beard’s talk about her book ‘SPQR’ as you could apparently ‘hear every word in your sleep’! And as if Sleeping Beauty’s critique of Mary Beard wasn’t enough, I had the unusual, nay unique experience, of being asked what I was reading by the bloke next to me on the Tube as we sat waiting to depart Walthamstow in the middle of the week. ‘It’s the new poetry collection ‘Loop of Jade’ by Sarah Howe!’ I said eagerly, adding in the hope of sparking the conversation that ….’She won the TS Eliot Prize for it this year!’. ‘Oh!’ said my new neighbour, ‘bit dull for me! I like fishing’. At which he took out a copy of Angling Times or The Only Way is Fishing or something of that ilk. For the rest of the journey to Victoria we didn’t exchange as much as a glance, never mind a word! But I know that you’re all DESPERATE to read Loop of Jade so here’s a snippet to entice you!!!!!!! And for those of you now thinking….’I think I’d rather read ‘The Only Way is Fishing’……shame on you!! At the Panel meet last week, we reviewed a number of cases for possible admission to Limes and also some possible admissions to STARS. At the moment, there are still spaces in both provisions but this isn’t likely to be the case as the academic year progresses. As part of the attempts to reduce the risks for young people we have the new Targeted Youth Service starting and we used the VPP meet to identify a few young people where we will work in conjunction with Limes to try and prevent the risk of exclusion. As well as the progress in recruiting an OD as mentioned above we had a further two staff briefings as part of the TUPE consultation last week. We are following this with a further two briefings this week and a separate meeting with Trade Union colleagues supporting those affected by the changes. Most mornings I drive into Walthamstow Underground station and I listen to the news on Radio 4. But on the way home I need the soothe of either XFM Radio or a CD. Last week I left the car park and got to the main lights by Walthamstow High Street. It was a warmish end to the day so I had the window down and was lustily, if tunelessly, singing along to Radiohead. As I sat at the lights track 9, House of Cards came up. I joined in from the off, belting out the first line ‘I don’t want to be your lover………I just want to be your friend’ and then realised the car next to me at the lights also had the window down. There was an older couple and the lady in the passenger seat looked at me, smiled, and said ‘Probably just as well love, as my husband’s here!’ At that they drove off turning right – I went straight on and didn’t sing another word all the way home! And anyway the video is seriously clever as it was filmed without the use of cameras!!!! Kieran and I met with our colleague from DfE, who will be the main link on academy conversions into the future. We have seen a slow but ongoing transition to academy status in Sutton, so for example recently we saw Tweeddale Primary become part of the Greenshaw Trust and Cheam Fields Primary become part of the Leo Trust. In the months ahead we expect to see Brookfield Primary and Stanley Park High complete the process on converting from LA maintained to Academy status. For those of you involved in school improvement and SEN/Inclusion, you’ll be well aware of Sutton’s Local Offer site which we developed in conjunction with parents and young people. It’s currently hosted separately from the Council website but the company who host it have intimated that they now need to upgrade it. We are therefore taking the opportunity to review and consider our options for the future provision of the Local Offer site and Rosemary Brennan and I are meeting colleagues from IT this week to look at the scope for change. meantime though if you are interested in taking a look the current Local Offer site you can find it here. I went straight to Denmark Road on Friday, where several of education services are now based, as I had a briefing with staff first thing . As I had stuff to catch up on I went in early getting to Denmark Road just after 7:30. Alas the back door of the building was locked and I couldn’t get in. I went to the front and though I could get in to reception area the doors to the offices were locked. I guessed they were on a timer and my pass wouldn’t work till 8. Two minutes later a member of EHR staff came in and went on through as his pass worked. I followed him. My pass didn’t work. I sat back down to wait when another EHR staff member came in and went through. I followed. My pass still wouldn’t work. I began to mutter darkly about IT, EHR bias and the world in general after it happened twice more. But on the fifth go it all worked fine when I suddenly realised I’d spent the last twenty minutes trying to get into the building with my Oyster Card!!!!! At the weekend I flew out of London for a city somewhere else – but for reasons that will now become clear I don’t intend to name it to protect its anonymity and because you’ll never be able to guess where it was. So having flown to this not-to-be-named city I checked into the hotel. I got my key and headed off to my room on the second floor when at the foot of the stairs I saw the following notice – parked on a table and written in large red letters. Alas you are unlikely to experience this level of hospitality for yourself as of course you have NO IDEA WHERE IT IS AND NO CHANCE OF WORKING IT OUT FOR YOURSELVES!! As you know from Insight, the Council are embarking on the development of a new Sutton Plan which will become the key driver for both the Council and all of its partners. Through Insight I know that you’ll have been sent details of how you might get involved in those conversations. In addition, on Wednesday of this week members and Council officers are coming together to talk more with representatives of partner agencies. The focus of the session is on exploring the future, working with partners to set out the shared ambitions and aims for the people who will live and work in Sutton now and in the future. While I’m not going to be attending the session itself I will definitely catch up with my colleagues who are going to be there and in due course I will update you where i can on the key messages and thinking from the session on Wednesday. AND FINALLY………………………….. THERE’S ONLY ONE THING WORSE THAN A WITTY LIVERPUDLIAN……..
…………………………………………………………… And that’s a witty Liverpudlian’s witty daughter! I’m sure you read of the Silver-back Gorilla at London Zoo last which must have been a pretty scary ordeal for those involved. And while the women in my life did have sympathy for those people it was also too good a chance to miss. They think I’m ever-so-slightly ‘alpha-male’ so just after the news broke my partner texted to say ‘Just heard about silver-back mayhem and what a relief when found out it was London Zoo and not Sutton!’ and this was soon followed by the younger half of my very own version of Morecambe and Wise who sent me the text that said ‘Stop misbehaving and get back in your cage and play nicely’. And as if ruining the personality part of my self-esteem wasn’t enough – when I got home my entreaties that the personality comparison between me and gorillas was a bit unfair, I then met the riposte that it wasn’t all a personality comparison – the fact that I was so short my knuckles scrape on the ground too was used to add stature injury to personality insult!! Previous PostTHE KISS…………………………. THAT LOVELY TRICK OF NATURE – OR IS IT? !…………………….Next PostMy Epilogue, My Swan Song and the Bru de Grace! I follow Brian on Twitter. Some of his stuff is genius – like this!! Some of his stuff is very clever; I just received the print book from Unbound and I am rationing it out over a few weeks.